My lovely buyers just closed on this condo in downtown San Diego. The rooftop deck looks directly onto Petco Park and you can see forever. It is a very modern and unique building called the ICON in San Diego. BIG dogs are allowed, which is unusual in some of these complexes, it is very dog friendly. Call me or email me, if you are thinking of buying anywhere in San Diego. Here is the latest Gardner Report on the Southern California real estate market. You can see that San Diego has the hottest market. Call me if you need to buy or sell. The following analysis of the Southern California real estate market is provided by Windermere Real Estate Chief Economist Matthew Gardner. We hope that this information may assist you with making better-informed real estate decisions. For further information about the housing market in your area, please don’t hesitate to contact me. The counties covered by this report—Los Angeles, San Diego, San Bernardino, Orange, and Riverside—added 164,100 new jobs between February 2017 and February 2018. As a result, the unemployment rate dropped from 4.8% to 4.1%. Employment growth in Southern California continued to pick up a bit as 2018 started, and I anticipate this will continue as we move through the year. There were 38,712 home sales in the first quarter of 2018. This was 5.7% lower than the same period in 2017 and 14.6% lower than the final quarter of 2017. The number of homes for sale continues to run well below the levels seen a year ago (-8.0%), and was 2.7% lower than in the final quarter of 2017. Home sales dropped across the board. The most pronounced decline was in San Diego County, which fell by 8.1%. As stated in last quarter’s report, this drop can be attributed to woefully low levels of inventory. There was an average of 28,835 active listings in the first quarter—well below what is needed to get to a balanced market. Year-over-year, average prices in the region rose by 7.5% and were 1.1% higher than in the fourth quarter of 2017. Affordability is an ongoing issue and one that, in concert with limited inventory, continues to push home prices higher. New construction activity is still constrained and this puts further upward pressure on prices. Though California is looking at legislation to free up inventory, as well as to add more housing units via Senate Bill 827 and adjustments to Prop. 13, I still believe that prices will continue to rise at above-average rates for the foreseeable future. San Diego County had the greatest annual appreciation in home values (+9.7%) but there were solid price increases across the rest of the region as well. Pending home sales dropped by 0.3% compared to the first quarter of 2017, which indicates that closings in the second quarter of this year are likely to only see modest increases. Demand for homes in 2018 will remain positive but, with limited inventory, demand is likely to still outstrip supply. The average time it took to sell a home in the region was 43 days. This is a drop of 13 days compared to the first quarter of 2017, and matches the final quarter of 2017. Homes in San Diego County continue to sell at a faster rate than other markets in the region. In the first quarter, it took an average of just 28 days to sell a home, which is 5 fewer days than a year ago. The biggest drop in the number of days it took to sell a home was in San Bernardino County, where it took 16 fewer days compared to the same period last year. All five counties saw a drop in the amount of time it took to sell a home compared to the first quarter of 2017. The speedometer reflects the state of the region’s housing market using housing inventory, price gains, home sales, interest rates, and larger economic factors. The Southern California economy continues to expand, which magnifies demand for all housing types. Mortgage rates—although rising—are still very favorable when compared to historic averages, and low inventory continues to drive prices higher. The number of homes for sale in the region is still well below the levels needed for a balanced market. Given all of these factors, I have moved the needle a little more in favor of sellers. Mr. Gardner is the Chief Economist for Windermere Real Estate, specializing in residential market analysis, commercial/industrial market analysis, financial analysis, and land use and regional economics. He is the former Principal of Gardner Economics, and has more than 30 years of professional experience both in the U.S. and U.K.
San Diego has been exceptionally dry this year. Storm after storm has avoided or barely brushed the region. Will this go down as the driest year in city history? It’s a real possibility, although a bit of a longshot. The city has been this dry so late in the season only one other time since 1850, when rainfall records began in town. The odds of breaking the dryness record are long, because there are still more than five months left in the season. But stranger things have happened. Given the current rain-robbing, storm-deflecting weather pattern that stretches back 10 months and the city’s rainfall history, this could be the year when the longshot comes in. The vast majority of the years, by this time, San Diego has already blown way past 3.33 inches of rain, the total in 2001-02, the record dry year. Average rainfall through April 30 is 9.95 inches; average for the entire rainfall year, which ends Sept. 30, is 10.34 inches. This year, the season total after Thursday’s brief morning shower is just 3.19 inches. Only 2001-02, with 3.02 inches at the end of April, was drier. To break the dryness record, the city would have to get no more than 0.13 of an inch of rain between now and the end of September. Could it happen? There’s precedent. Seven times the rainfall total during that stretch was that low or even lower. Three times the city has gone at least 164 days, starting in April and continuing the entire summer, without any rain at all. The city’s longest dry spell, 182 days, began on April 17, 2004, and it didn’t end until Oct. 16 that year. The Climate Prediction Center, which makes long-range forecasts, sees no tilt toward either dry nor wet for Southern California as the summer approaches. But San Diego’s averages during the summer months are virtually zero, said Mike Halpert, the center’s deputy director. Under El Niño conditions, when the waters in the equatorial Pacific turn abnormally warm, the chances of San Diego getting summer rain from the remnants of a tropical storm off the west coast of Mexico increase. But the prediction center doesn’t expect El Niño to emerge over the summer, Halpert said. For the shorter term, through the next 10 days or so, no storms are on the horizon. San Diego is on the cusp of its annual, long dry stretch, which often starts in late spring and lasts until early fall. April is the transition month. Storms from the north usually still arrive, but they are generally less frequent and weaker. Until last Thursday, San Diego had recorded no rain at all in April. Thursday’s total was just 0.01 of an inch. The dry pattern emerged last year. San Diego had its driest June-through-December period on record. January and early March brought some rain, but both were drier than normal. In late March, it went back to extremely dry, at least locally. San Diego was initially forecast to be on the southern fringe of strong storm systems hitting California, but eventually the city missed out on even the fringe. A couple of “atmospheric rivers,” long plumes of moisture a couple of hundred miles wide and more than a thousand miles long, drenched areas to the north but left San Diego alone. “With the last couple of atmospheric rivers, the long-range forecasts looked promising,” National Weather Service forecaster Mark Moede said. “But with each succeeding forecast model run, the rivers shifted farther north. What caused those plumes of moisture to stay far from San Diego is the question. In the normal weather pattern, a ridge of high pressure in the eastern Pacific, roughly west of the southern tip of Baja California, waxes and wanes as storms drop down from the north Pacific and move east across the continent. This year, it appears that subtropical high amplified, Moede said, and that could have helped repel the storms from Southern California. The last two weeks, a series of storms, weaker than the ones that soaked California in March, continued to deliver more rain and mountain snow in Northern California. Again, San Diego remained on the outside looking in. Making it through April with very little rain is key to breaking the record. After April, which averages 0.78 of an inch in San Diego, the monthly rainfall averages drop way off. And those small averages are inflated by the rare, wet month. About a third of the years, May has recorded 0.04 of an inch or less. In June, about three-fourths of years had 0.04 or less. Most of the city’s Julys, Augusts and Septembers have recorded no rain at all. September can catch early winter storms, but only one September in the last 13 years recorded more than a tenth of inch of rain. The Climate Prediction Center’s Halpert said it’s not too hard to break daily records for temperature or rainfall, but topping a record for an entire year is difficult. Even with the current dry trends and past long dry stretches, the odds are long that San Diego’s will break the dryness record this year. And writing about it will likely jinx it. A few weeks ago I closed escrow on this home for my very lovely first-time homebuyers. This home is gorgeous and I know they will be happy there. The crime rate in San Diego has reached the lowest in 49 years so read the full article to see what has been successful because for one of the biggest cities in the US, this is quite amazing and what a great and beautiful city I live in therefore…. San Diego is a perfect place to live so call or email me if you would like to buy a house in San Diego. I am on call at all hours and give the best service. It helps that I really love living here…..
Read the article here for all the details from the San Diego Union Tribune Article from today 02/06/2018. I have already closed 2 deals in January of 2018 with 2 wonderful clients. 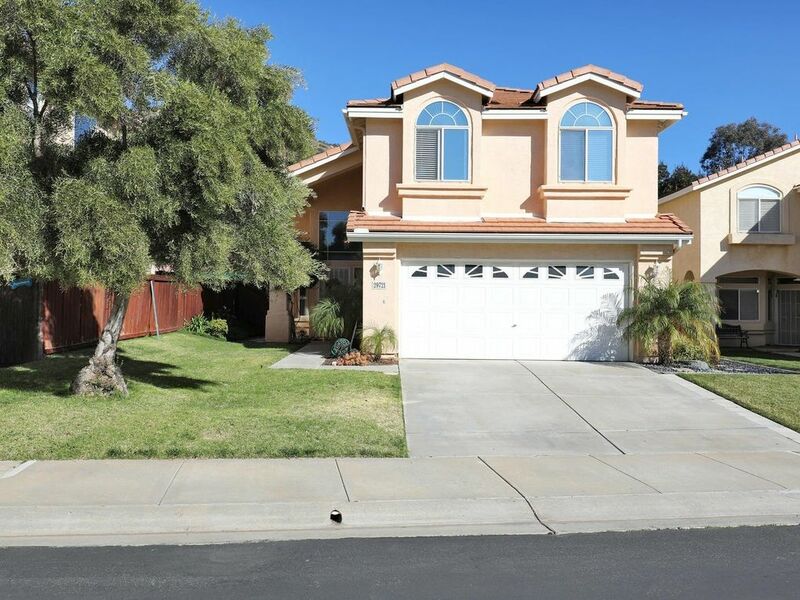 820 Mahogany, San Marcos 92078 – This is within walking distance to Cal State San Marcos. VIEWS OF LAKE & OCEAN BREEZES. I just sold this beautiful listing in 4S Ranch in San Diego. I received an offer under 24 hours and for full price. Let me do the same for you. Give me a call and let’s see what I can do. I offer staging assistance and gorgeous photography/video/drone footage of my listings. SOLD FOR $1,386,000. NEW ON MARKET – 4S Ranch in San Diego. On a range between $899,000 – $950,000. GORGEOUS 4 Bedroom/4 Bathrooms, 2733′ and a Loft which could be a 5th bedroom. 2 Car Garage with extra space. Beautiful, spacious. Wood floors throughout; plantation shutters; granite counters; SS appliances. Perfect neighborhood, walk to schools, parks & shopping centers. On a larger lot in a cul-de-sac. I was shocked today, when I went on the local Multiple Listing Service (MLS) to see that there are only 7 detached homes on the market in this suburb of Rancho Penasquitos, in the city of San Diego. I have not seen such low inventory since maybe the 2006/2007 era, which was just prior to the big crash of 2008. 4 of those listings are above a Million Dollars! Now the average price of a detached home in Rancho Penasquitos is $748,000 which is even higher than the time period prior to the 2008 crash. If you are a seller, it is REALLY time to put your home on the market. This is NOT only happening in the 92129 zip code, but many others too. I live in this suburb and and know how special it is, how great the schools are and the closeness to the beach and everything else. Call me if you have any thought of selling.